The Brooklyn Bridge | ride. travel. live. This is one of the must-do walks in New York, both for residents and visitors. 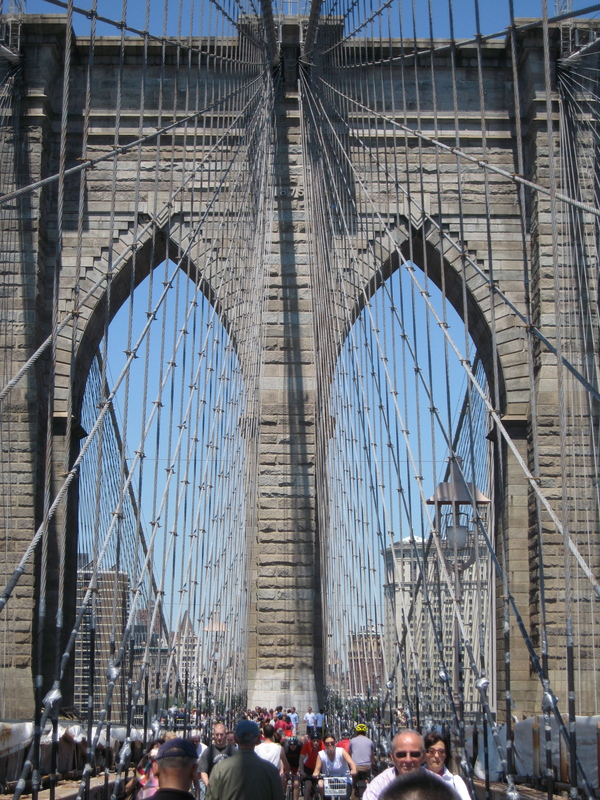 Two bridges in New York were mentioned by Le Corbusier in his 1947 book When the Cathedrals were White, one being the George Washington Bridge, then a teenager, the other being the Brooklyn Bridge, a mature 60-something at the time. 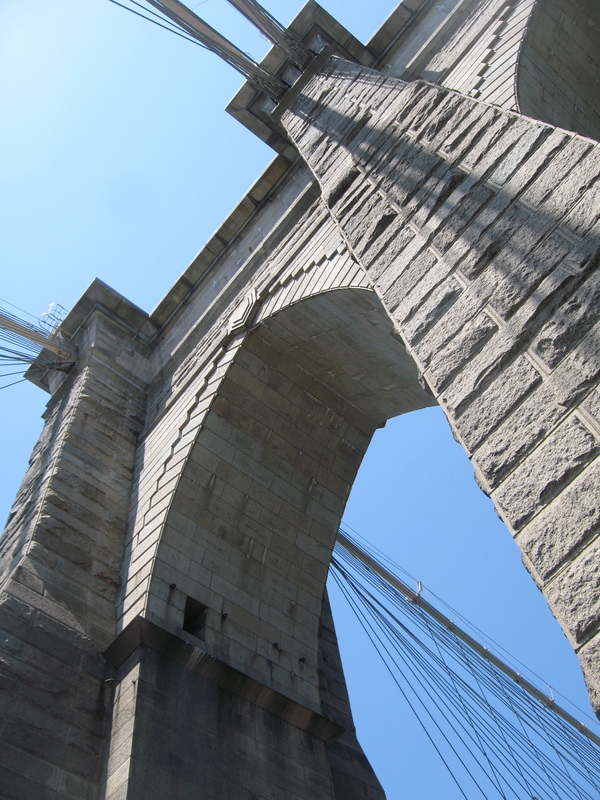 Like the George Washington Bridge, it’s a noisy walk, with traffic roaring beneath, but the poetry of the bridge lies in the cables, which surround you like a spider web when you walk close to the towers. The walkway, in the center of the bridge, is suspended above the traffic, and the cables and the bricks become part of the panorama of New York as you walk it, the skylines of midtown and the financial district poking through the web. On a sunny day, it can feel as crowded as Manhattan, with enough human and bike traffic to feel like Times Square, with dozens of languages overheard. It’s an overbuilt bridge, on purpose, in the days before aerodynamics or computers, the towers are squat and solid from a distance, and yet the structure comes across as being delicate from up close. I don’t think Roebling anticipated the amount of traffic that crosses the bridge daily, and yet, the bridge has stood up to all of it, and has weathered the last 130 years of glory and cataclysm in the city. Next stop, the Manhattan Bridge. . .